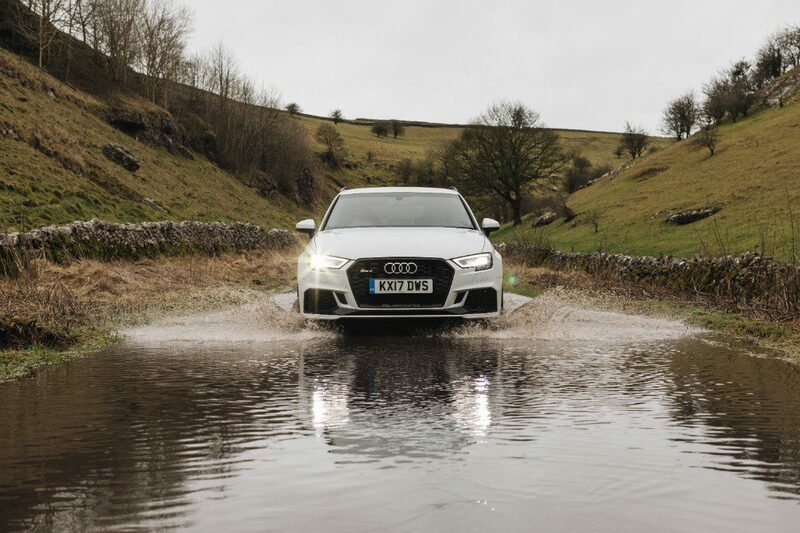 With the Winter months thankfully moving into their last stages and a typically rainy Spring on the horizon, it’s time to look for a garment that will keep you dry during the notoriously unpredictable weather that arises around the Easter period. Warmth is important, but not an absolute priority. 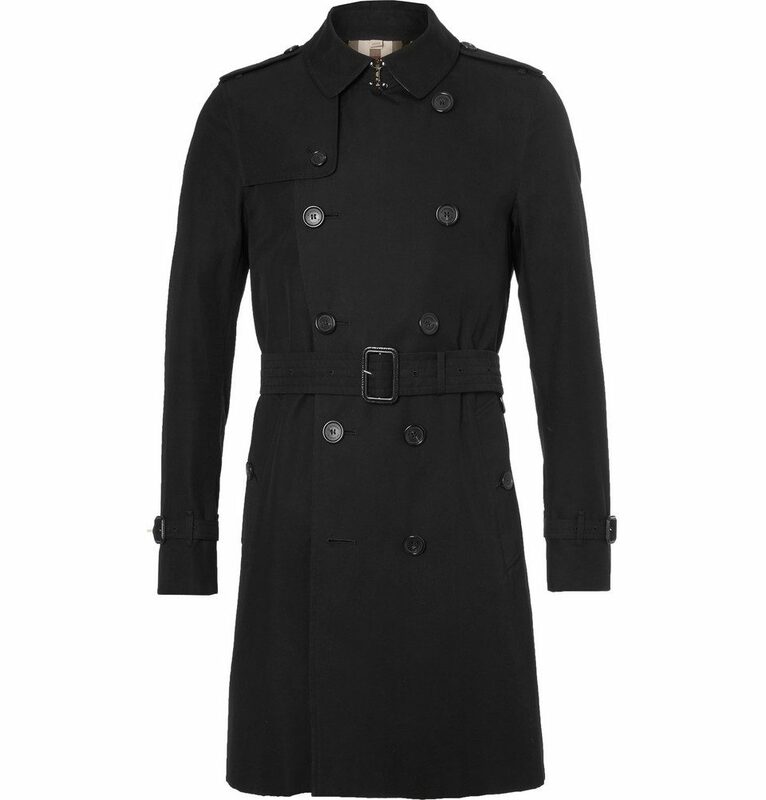 Ease of movement and water resistance are first on the list, and this is where the trench coat comes in. But how did this garment gain the iconic status it enjoys within menswear today? Here’s everything you need to know. 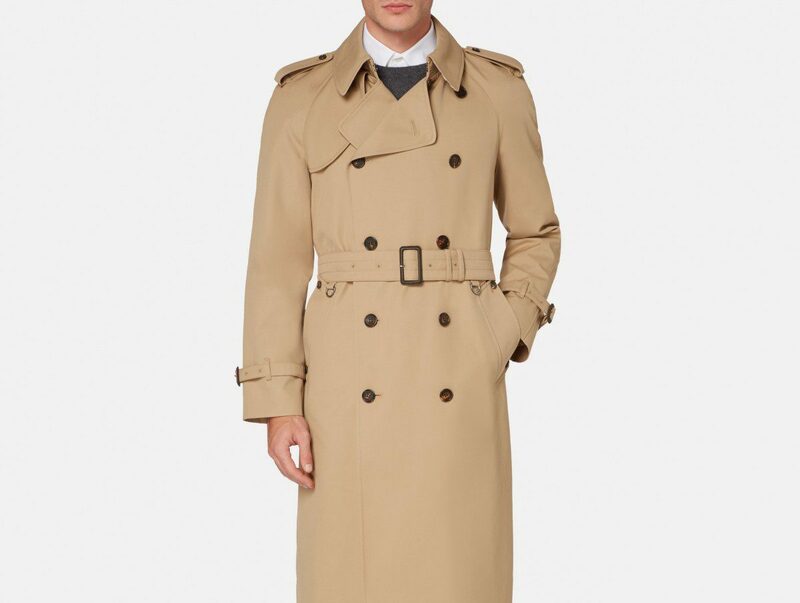 Of course, the trench coat was used extensively by British officers in the First World War, and the trench warfare that was predominant in that conflict is where the coat gets its name. 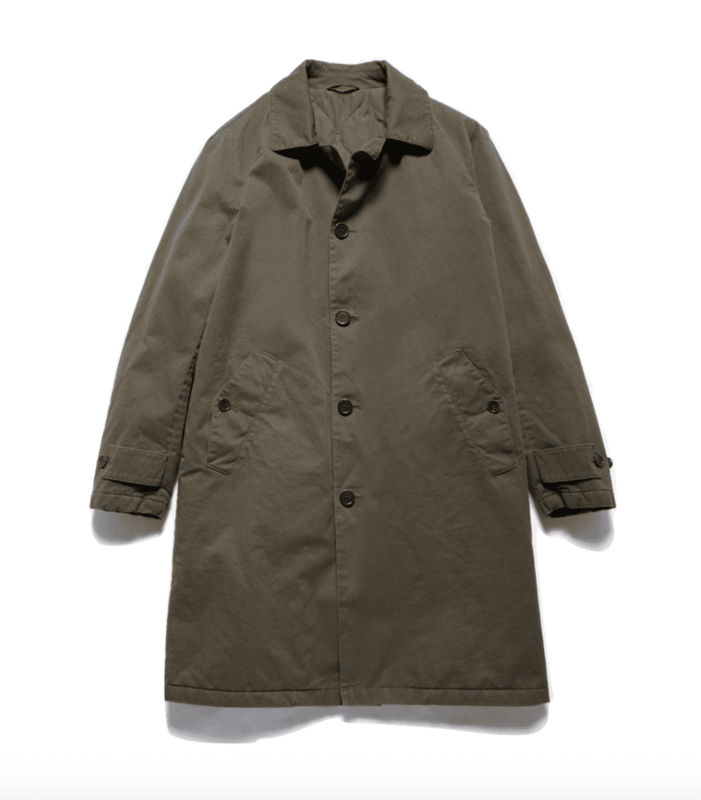 But what is less widely known is the fact that the development of the coat actually began almost 100 years prior to the First World War, probably around the early 1800s. 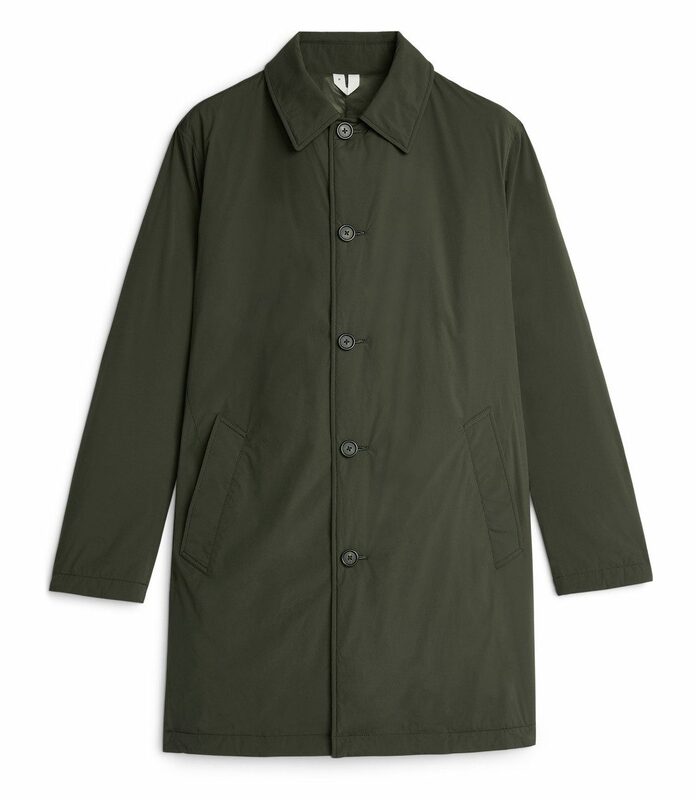 At this time, the Mackintosh raincoat was prevalent, and although the rubberised cotton construction of the coat made for a good waterproofing material, it also came with many drawbacks, including a lack of breathability and an unpleasant smell. 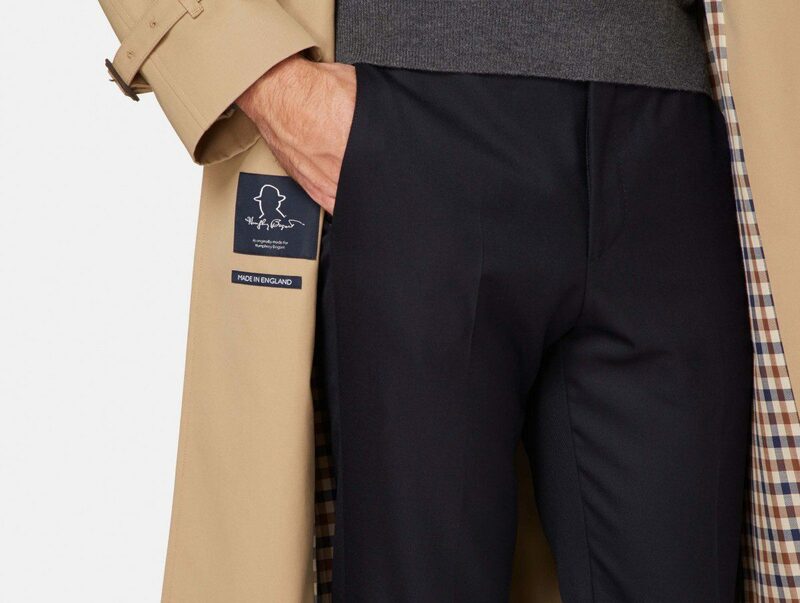 The shortcomings of this coat, however, inspired the development of better materials, and in the 1850s tailor and entrepreneur John Emary produced the first waterproof wool, renaming his company Aquascutum (Latin for ‘watershield’) in honour of this. 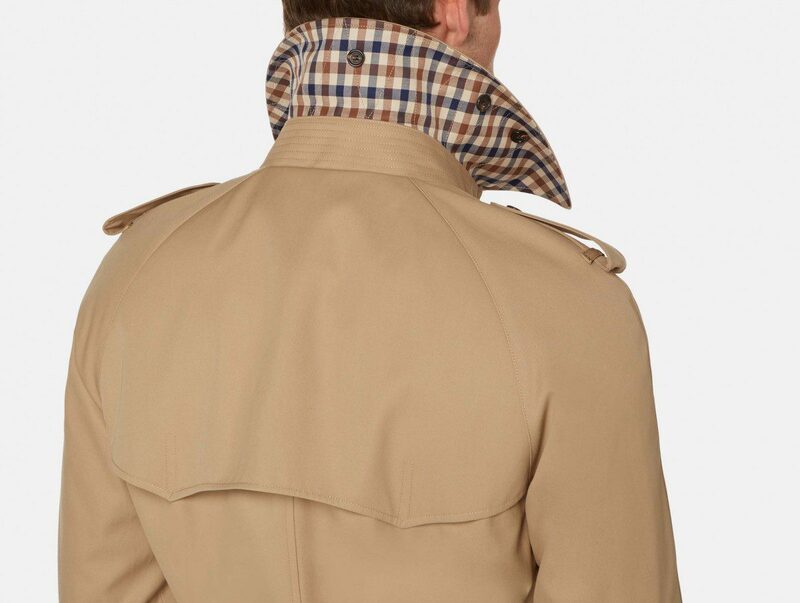 Around the same time, Thomas Burberry also founded the now iconic company that took his last name as its name. 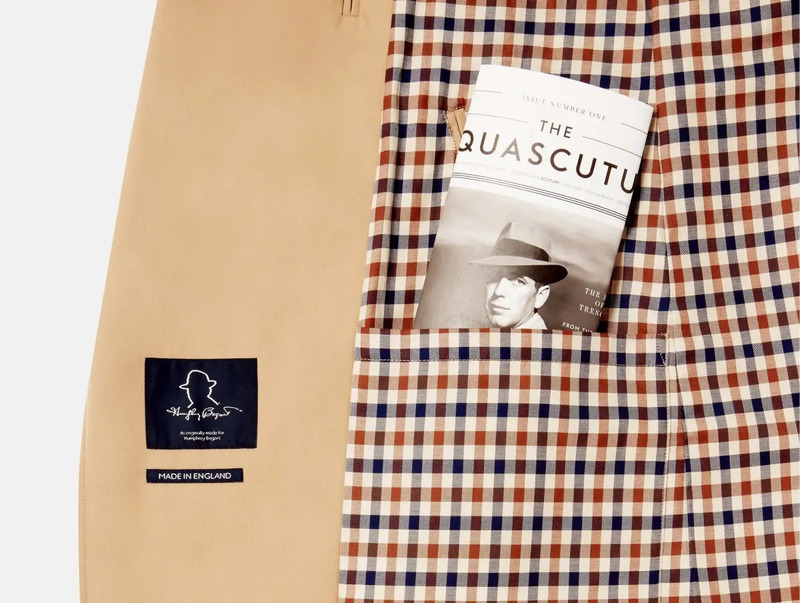 Much like the coats that Aquascutum were producing at this time, the coats he produced were made from a breathable yet waterproofed construction, and both designs proved popular with upper class sporting enthusiasts. In the following century, when the First World War began, the British army soon found that they were extremely poorly equipped for dealing with the horrific conditions of the trenches. Constantly muddy and damp, trench warfare was disgusting and dangerous in equal measure. The thick woollen greatcoats that British soldiers had worn in previous conflicts were far too heavy to maneuver effectively in the cramped trenches, especially when wet, and the military was desperate for a lightweight, breathable alternative that could still keep them relatively warm and dry. 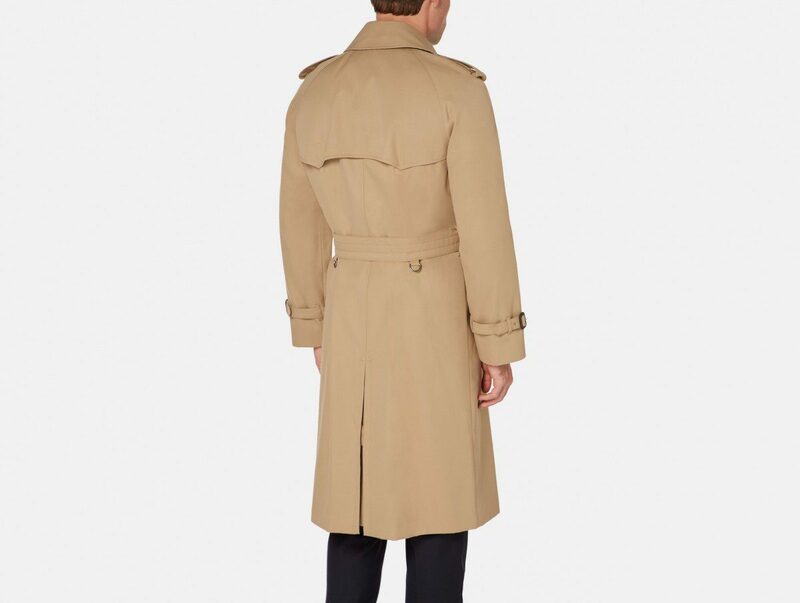 The trench coat, as it soon came to be referred to following its introduction into the conflict, was ideal for this purpose. While previous wars saw soldiers lining up and charging at each other in brightly coloured outfits so as to quickly designate friend from foe, the trench coat’s camoflaged design was perfect for this new form of warfare, as well as being far superior to the great coat in terms of practicality. 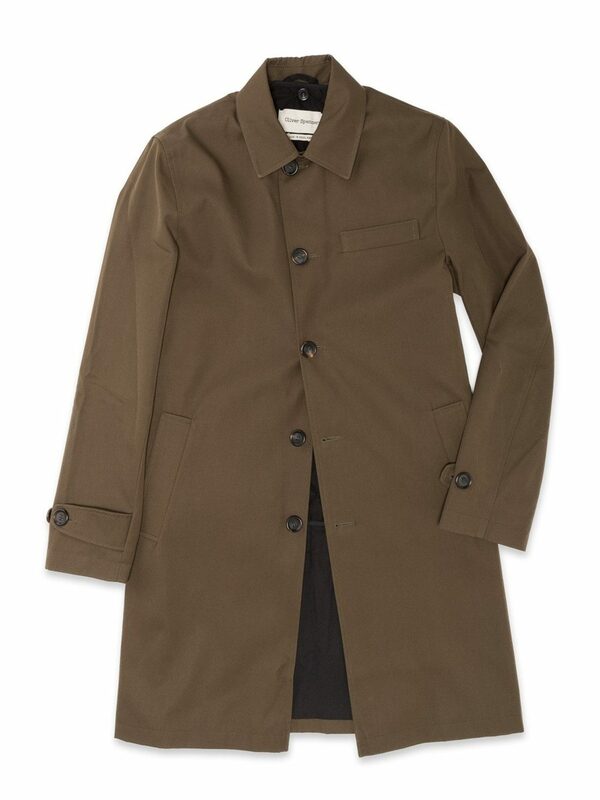 Sadly, most regular soldiers never actually got to wear a trench coat, and had to continue with the greatcoats. Officers on the other hand, were given an allowance to purchase their own uniform, and many recognised that the trench coat was a very sensible purchase. 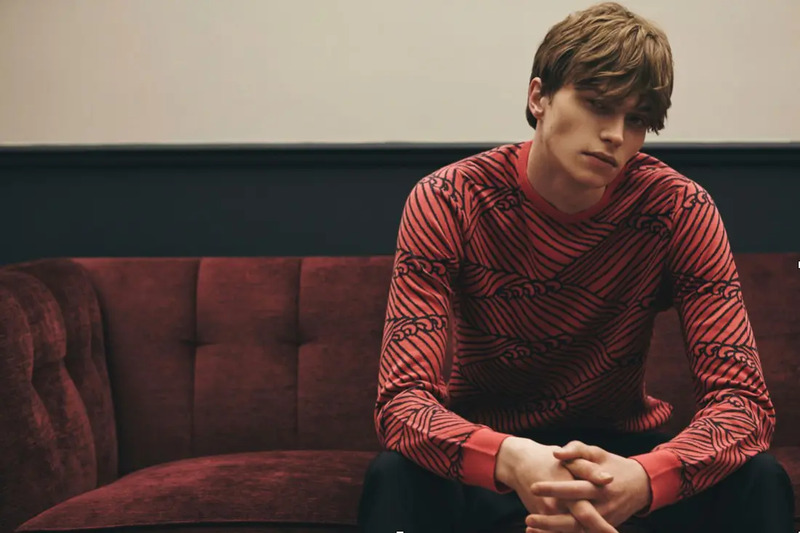 Burberry and Aquascutum both adapted their designs to better suit military requirements, taking notes from their sporting jackets for inspiration. Since many officers were upper class, the brands’ histories of serving this demographic appealed to them, and it is likely the British Military as a whole also approved – at this time, war was marketed to young British men as an exciting and noble outdoor pursuit, and tying this notion in with two high-end sportswear manufacturers reinforced this idea. Soon enough, civilians also began to take to the trench coat. During the war it gained popularity with those back in Britain as a sign of patriotism and support for the troops, as well as a way for people to connect with loved ones who were fighting overseas and also wearing the trench coat. Even following the war the coat retained its popularity, perhaps due to officers returning to their day to day lives, and remembering their glory days in the war through continuing to wear the trench coat. 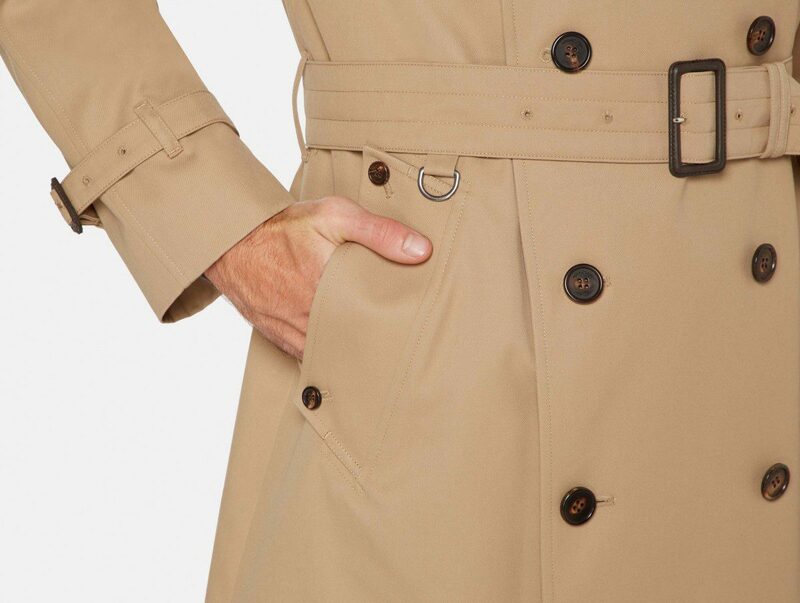 A symbol of bravery, conflict and pride, the popularity of the trench coat was cemented. 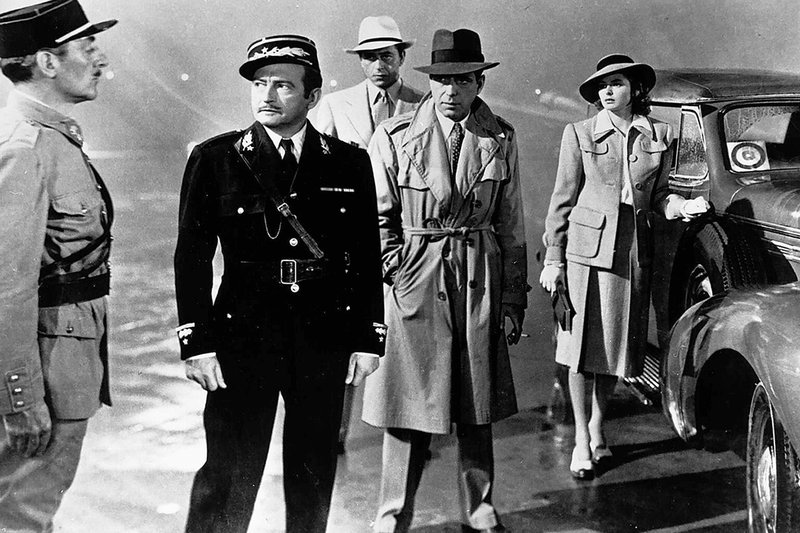 Its reputation was given another boost during the Second World War, and soon enough Hollywood began outfitting their leading men and women in trench coats as a way of indicating authority, experience and courage, as well as making it the go-to piece of outerwear for any war epic. 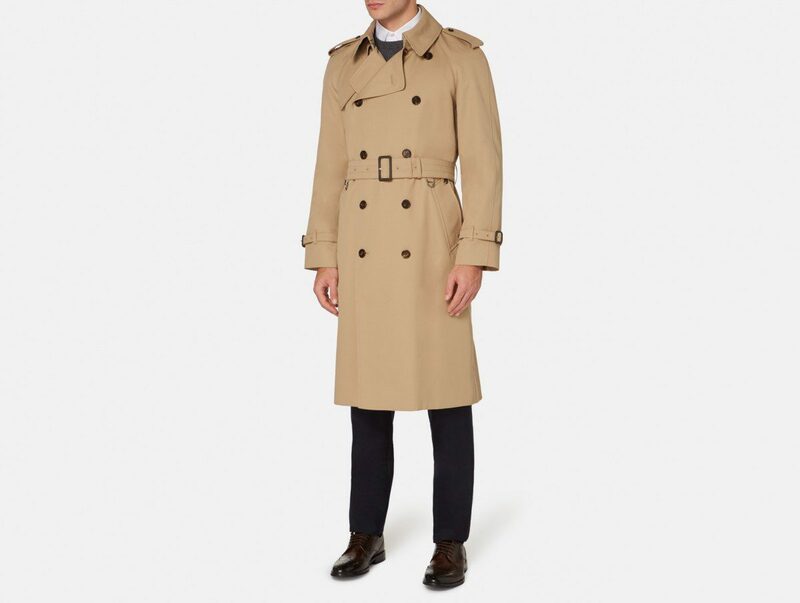 While the coat was traditionally double-breasted with wide lapels, 10 front buttons and belted at the waist, the original design has since been reinterpreted in many different materials, colours and styles. 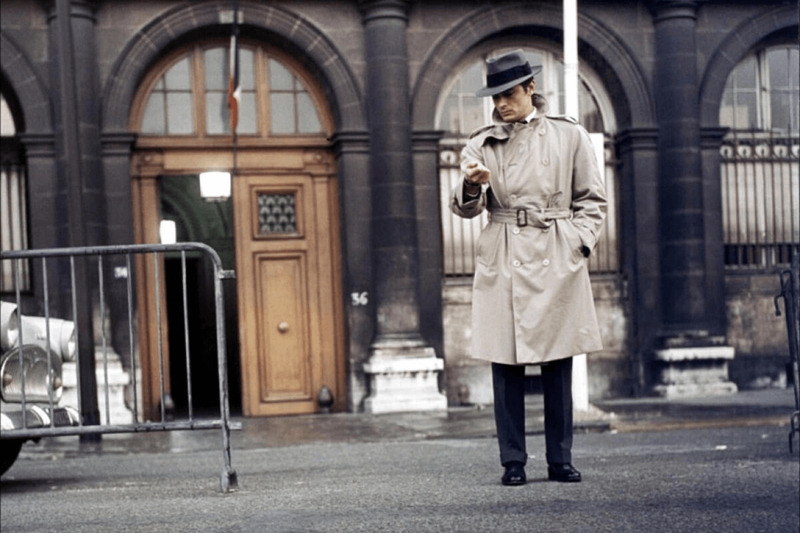 Today, the trench coat’s long history and reputation makes it a wardrobe staple, and one of the most iconic outerwear pieces full stop. It’s an item that should be worn with confidence and respect – do so, and it will serve as an invaluable asset you your style arsenal.